Mathematics is the science of order, structure and relation. It is concerned with the study of the properties of measurements, numbers, and shapes, and the relation between these quantities. It is a powerful tool for solving practical problems, and a highly creative field of study combining logic and precision with intuition and imagination. The knowledge of mathematics is extremely lucrative in today’s technologically oriented workplace. There are a very wide range of employment opportunities available to students who are facile with mathematics concepts. Employers from business and industry like to hire persons with a background in mathematics because of their ability to think and reason critically, logically and analytically. Employers include electronic equipment and computer manufacturers, oil companies, communications laboratories, aerospace companies, research firms, investment banking firms, and school systems. According to CareerCast.com (and reported by the Wall Street Journal), mathematician, actuary, and statistician are all among the top 10 best jobs to have, according to surveys done in both 2009 and 2010 (mathematician scoring #1 in 2009). When Will I Use Math?, sponsored by BYU with support from the Mathematical Association of America. SIAM (Society for Industrial and Applied Mathematics) has a career information page with information about non-academic employment, applied math and computational sciences and a joint AMS-SIAM mentoring program. The Association for Computing Machinery (ACM) is an organization devoted to the art, science, engineering and application of information technology. Math Horizons, a magazine published by MAA, has a variety of articles on how to find a job, get an internship, choose a graduate school, and combine math with other interests like becoming an actuary or statistician. 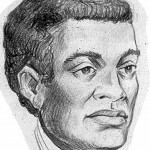 Benjamin Banneker was a free African-American mathematician and astronomer in the 1700's.